Editor’s note: Aspen Journalism is collaborating with Vail Daily and other newspapers in the Swift Communications group in Colorado on coverage of rivers and water. More at http://www.aspenjournalism.org. A state-imposed mandatory curtailment of water in the Colorado River Basin within Colorado was discussed as a looming possibility during a meeting of the Colorado Water Conservation Board on Wednesday, Sept. 19, in Steamboat Springs. 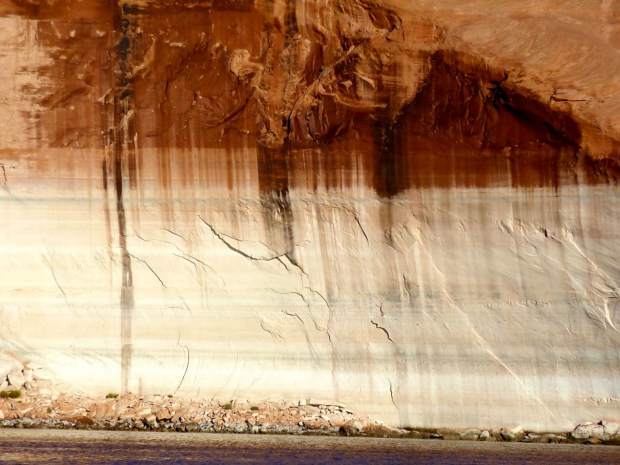 “With the repeat of historic hydrology beginning in the year 2000, Lake Powell will be dry, and when I say dry I mean empty, within about three years,” Jim Lochhead, CEO and manager of Denver Water, told the Colorado Water Conservation Board. The two regional Western Slope water conservation districts had drafted a resolution they wanted the Colorado Water Conservation Board to adopt Wednesday, which did not happen, as the board declined to vote on it.